Love, Mrs. Mommy: Capresso SG220 Coffee Maker Giveaway! 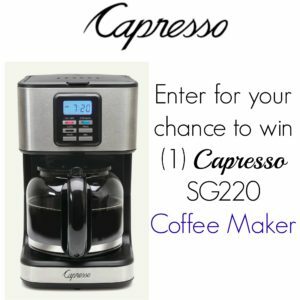 Capresso SG220 Coffee Maker Giveaway! Enter for your chance to win this wonderful coffee maker! Plus, check out the links at the bottom of the post to enter more giveaways! 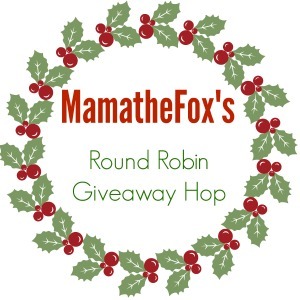 Enter to win the GRAND PRIZE of MamatheFox's Round Robin Giveaway Hop! At the bottom of this page you will find a links to a few more awesome giveaways! Each giveaway will have it's own winner, so the odds are in your favor. Come back daily in increase you chances of winning 1 or more of these prizes.